The Hijman Degen Foundation was founded in 2006 and aims to help people cope with psychological trauma suffered due to natural disasters, war or persecution. It does so by means of art therapy. To achieve this goal a small number of experienced and specialized art therapists was selected to do the practical work. They are known as Art Therapy International. Art Therapy International does not work directly with traumatized people, but trains local aid workers on the spot. It also provides ‘train-the-trainer’ courses. 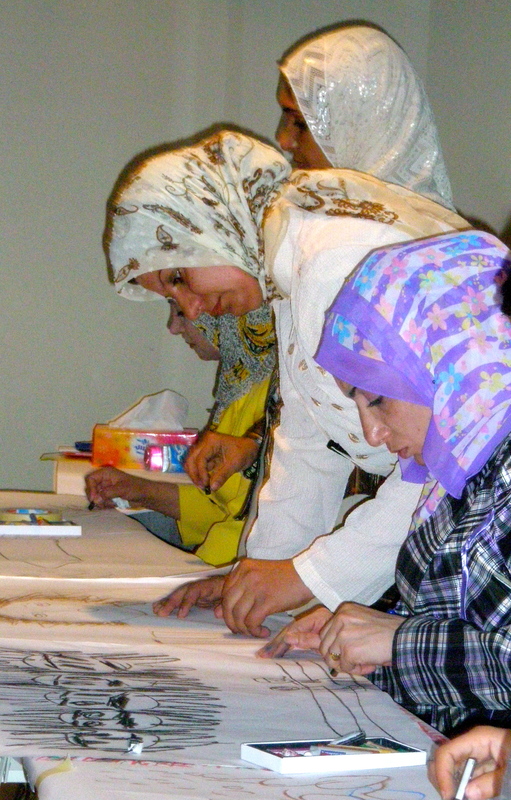 Aid organizations in affected countries may submit a project proposal for training by Art Therapy International. To be able to continue the activities of Art Therapy International, the Hijman Degen Foundation depends on donations and sponsoring by private individuals and (aid) organizations. When a humanitarian disaster occurs, many organizations provide first aid in the form of food, shelter and medical care. However, far less attention is given to the psychological effects suffered by adults and children, such as fear, grief, rage and shame. Actually, no care whatsoever is generally provided for post-traumatic stress disorder, depression and the like. There is urgent need for such care! Traumatised adults and children often find it very difficult to express what they have experienced. Art therapy is a non-verbal approach. Drawing or painting, working with music, dance or drama gives them opportunities to come to terms with their experiences.